Escape the summer crowds with this weeklong winter-themed itinerary that highlights both southern and northern Norway. After a night in Oslo—Europe's fastest-growing capital—you'll take one of the steepest trains in the world to Flåm for snow-covered fjords. You'll then train to Bergen, a UNESCO-listed waterfront city with vibrant restaurants before flying north to picturesque Tromsø. This is where you'll finish the trip, with two nights in the Arctic wilderness dogsledding and searching for the Northern Lights. 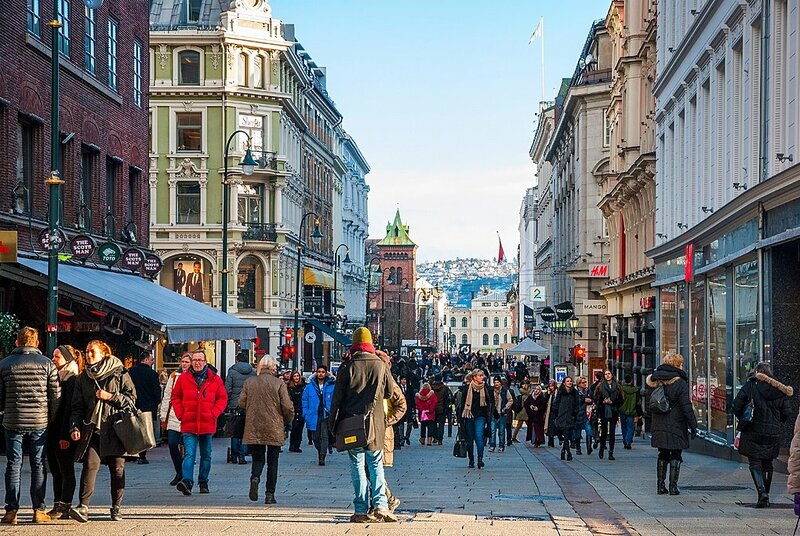 Explore Oslo's up-and-coming neighborhoods like Aker Brygge & "Løkka"
This morning, you'll catch an early train in Oslo which begins a lovely journey to the west coast passing one valley after the next. Once you get to Myrdal, you will change trains and jump on the quaint, old-timey Flåm Railway, considered one of the steepest railways in the world with amazing views of the Norwegian mountains. The train will stop at the Kjosfossen waterfall for passengers to disembark and take pictures. From small villages to remote countryside, the views from your window will be nothing short of spectacular. At its highest point, the tracks will take you 4009 feet (1222 meters) above sea level! When you arrive in Flåm, there will be some free time to explore this charming village situated on the Aurlandsfjord. Have lunch at one of the local restaurants, like Ægir microbrewery for authentic Viking culture in a historic wooden structure. 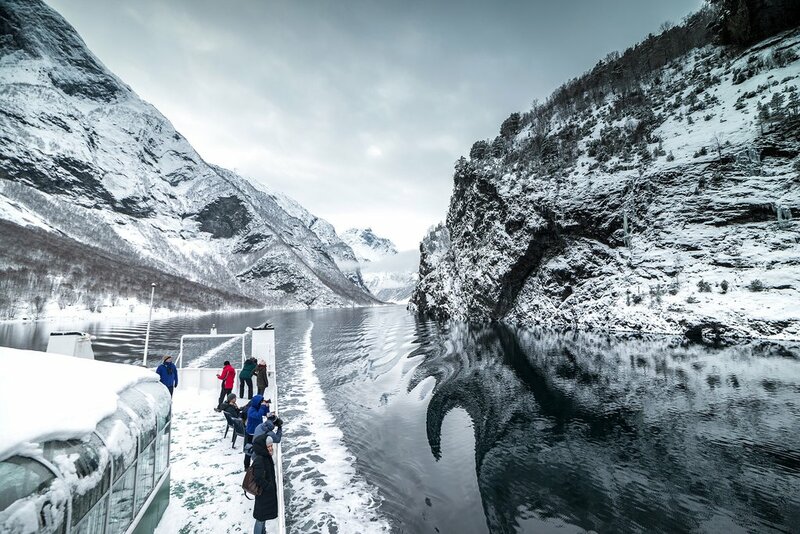 After relaxing in Flåm, you will join a fjord cruise that sails through the UNESCO-listed Nærøyfjord, surrounded by steep mountains and snow-covered peaks. When you disembark at Gudvangen, take the bus to Voss and then connect to the train for Bergen. 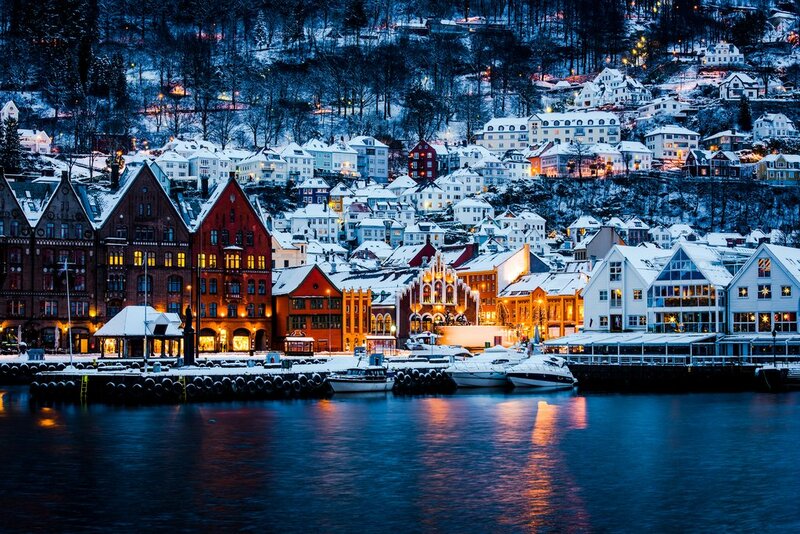 When you arrive in Bergen, you'll take a short walk to your hotel from the train station. Once you're settled, you can head for the city's lively restaurants and nightlife options thanks in part to a young student population. After breakfast, explore on your own or meet up with a guide for a local tour of Bergen—the second largest city in Norway, with about 300,000 residents. 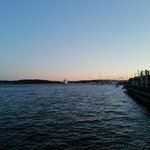 Rich in culture and seafaring history, this walkable city boasts a vast selection of cultural and outdoorsy activities. Be sure to take the Fløibanen funicular (or hike the trail on foot) to the top of Mount Fløyen—one of Bergen's seven peaks—for the best views of the city, and take a leisurely stroll back down the path while discovering hidden troll sculptures along the way. 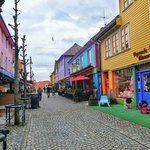 Check out the Bryggen area of downtown to view old wooden houses dating back to the 1700s (a protected UNESCO World Heritage Site), along with Bergen's best historical sites and museums. For a rest, stop in one of the charming local cafés and bakeries. Boat to Mostraumen: This day-trip departs from Bergen's port and takes you through a deep fjord to Modalen, which is one of the smallest municipalities in Norway with about 380 residents! 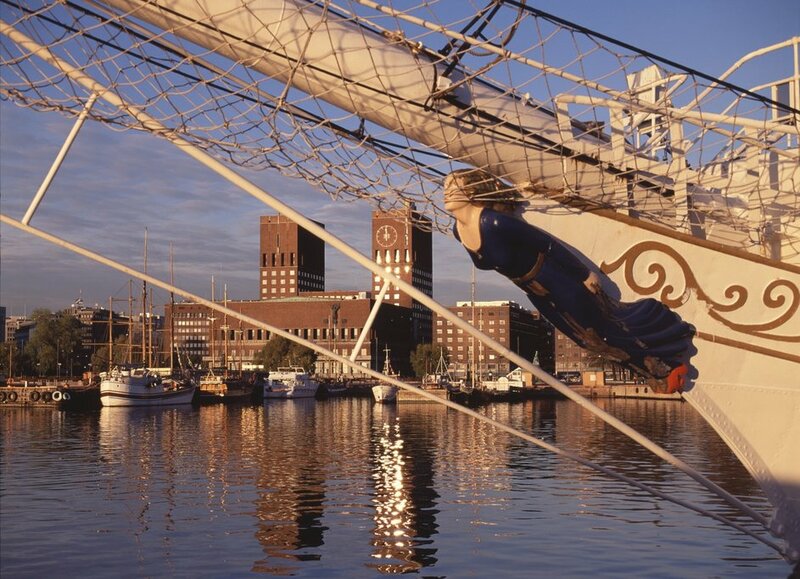 You will sail along Osterfjorden and pass steep mountains and spectacular waterfalls. Mt. Ulriken Zip Line: This fun zip line adventure through hilly forests is located close to the city center. 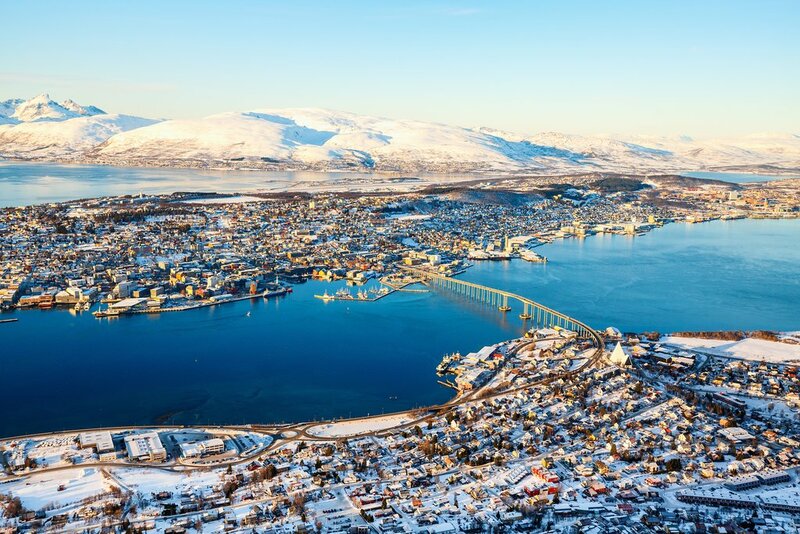 After breakfast at your hotel in Bergen, you'll transfer to the airport for a domestic flight to Tromsø, the largest city in Northern Norway, nicknamed "Gateway to the Arctic". Upon arrival at Tromsø, a driver will transfer you to the Malangen Resort outside of the city. This picturesque seaside setting is located on Malangen Peninsula surrounded by mountains and fjords. 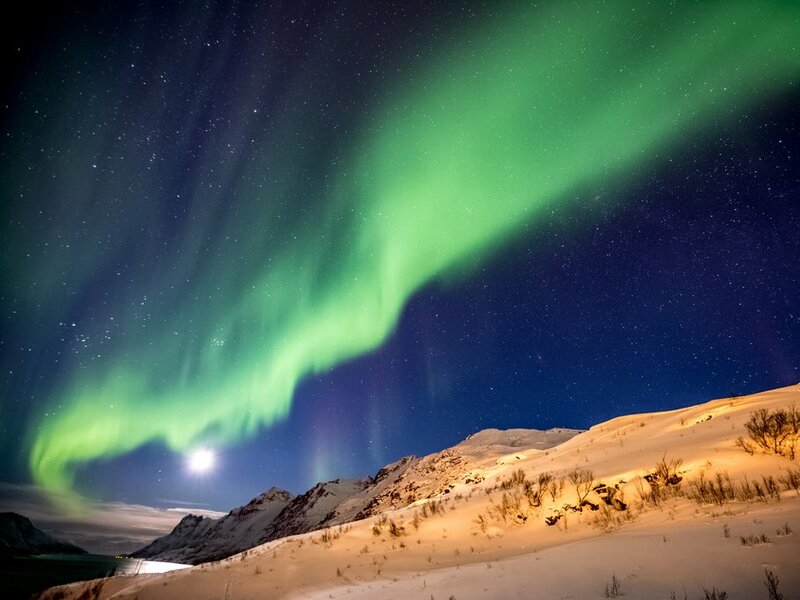 It is also one of the leading Northern Lights locations in the region. The resort's onsite restaurant features Arctic cuisine made from fresh, locally-sourced ingredients. Once you're settled, head down for dinner and then get a restful night's sleep in your modern accommodations. Take advantage of being able to sleep in this morning, and then enjoy a nice, leisurely breakfast at the resort. If you're feeling active, head outside and take a peninsula stroll in the fresh Arctic air. Later in the morning, you'll meet an eager team of Huskies who will be waiting to take you into the wilderness. 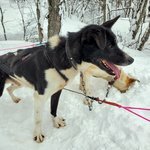 But first, you'll suit up and start with a lesson on how to manage your own dog team (guides and gear are provided). In fact, you'll drive in pairs with a chance to switch drivers at the halfway point so everyone learns the ropes. 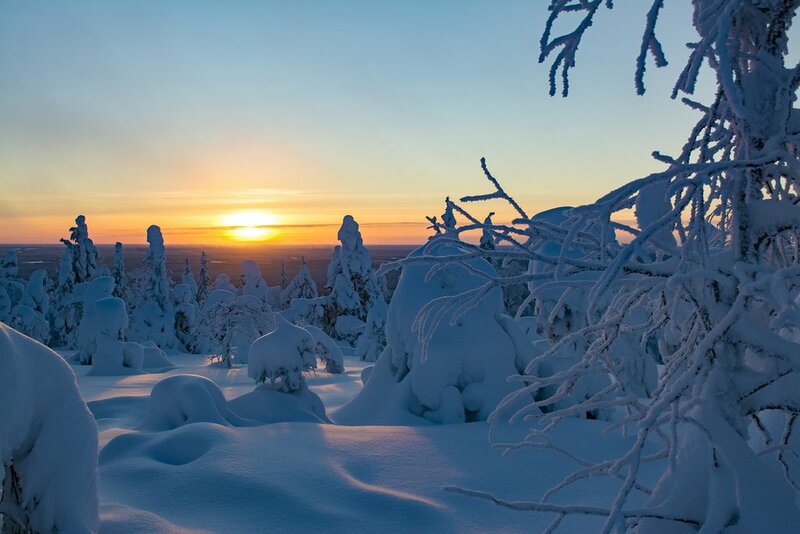 After dog sledding, there will be some free time to relax and have dinner before the "Northern Lights Watch". This excursion starts with a briefing about this natural phenomenon and the current conditions* before your group sets off for basecamp. This area is strategically located behind the resort in a location that experiences less cloud activity and better chances for sightings. Rather than running around in a mini-bus, this experience provides comfort and relaxation around an inside fire with snacks and hot beverages. *The tour provider will check the latest weather update in the early evening. If the likeliness of clear skies is low, the guide will inform you about the situation at pickup time and you can decide to have your money refunded. If you choose to take your chances, the guide will do his/her best to succeed, but there is no guarantee.